Horsethief Lake is something you should read. Horsethief Lake was created in the 1930s when the Civilian Conservation Corps (CCC) built a dam on Pine Creek. 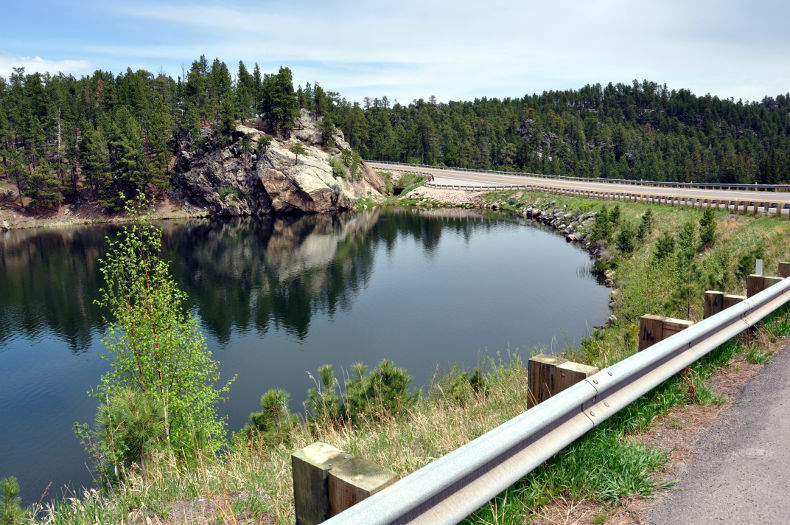 South Dakota Senator Peter Norbeck, known for his artistic love of nature, had a wish to develop small, idyllic lakes throughout the Black Hills. 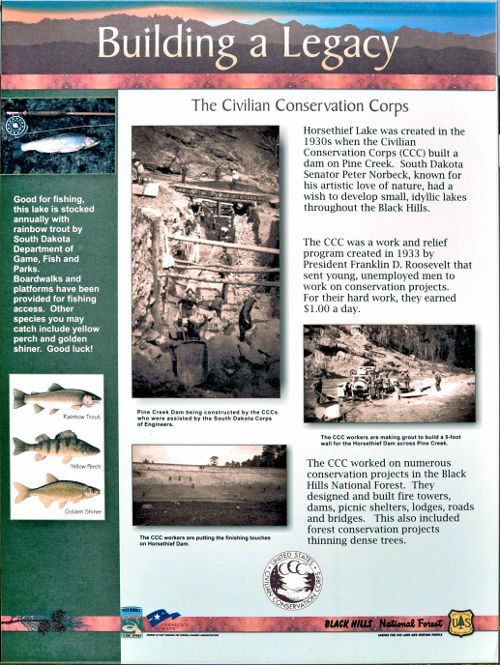 The CCC worked on numerous conservation projects in the Black Hills National Forest. They designed and built fire towers, dams, picnic shelters, lodges, roads and bridges. This also included forest conservation projects thinning dense trees. Horsethief Lake dam is a little over 2 miles from Mount Rushmore National Memorial on highway 244 in The Black Hills of South Dakota. Horsethief Lake was created in the 1930s when the Civilian Conservation Corps (CCC) built a dam on Pine Creek.